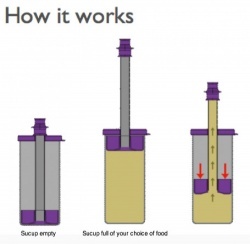 The Sucup is a unique drinking aid designed to help people restore their independence by enabling them to feed themselves rather than being spoon fed. The innovative vacuum based design allows the user to feed themselves easily by gently sucking on the straw or by applying gentle pressure on the mouthpiece. 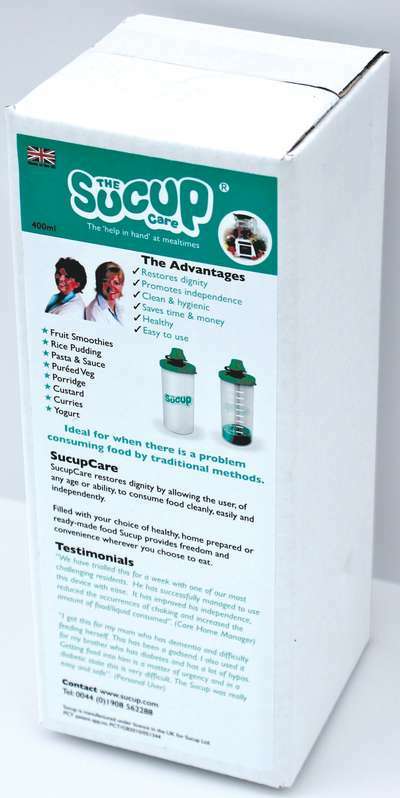 Sucup is spill proof and hygienic as food is not exposed to the atmosphere. It can also be used in any position without spilling. The graduated marks on the side are useful for monitoring food intake. Use by sucking on the straw or by gentle pressure – or a combination of both. 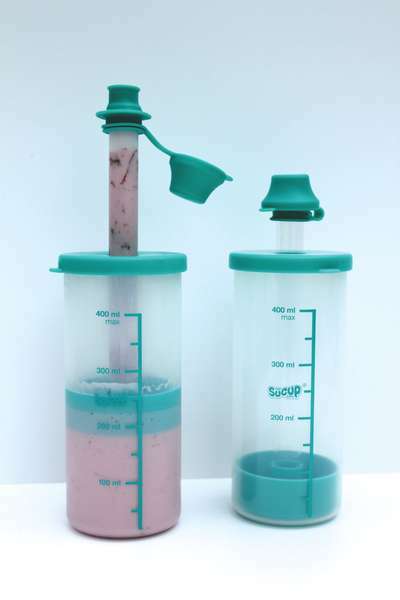 The Sucup is dishwasher safe but the straw should be washed by hand only. 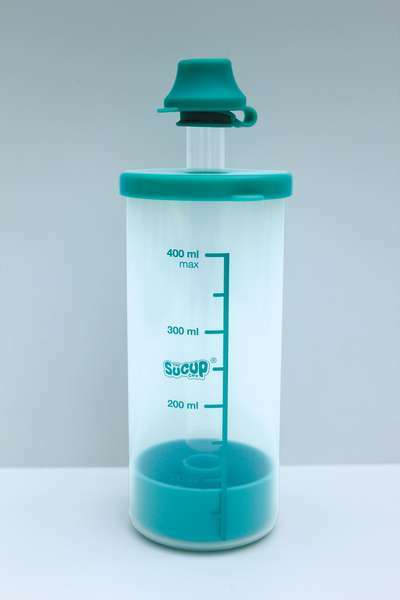 The Sucup can be sterilised using a proprietary sterilising fluid.